If you have any questions or want to enquire about dates, use our form to contact Lucy Wilkes or see their website for more information. Built in 1897 just after the adjacent church, this former presbytery has an interesting history including youth hostel, tea room and B&B. 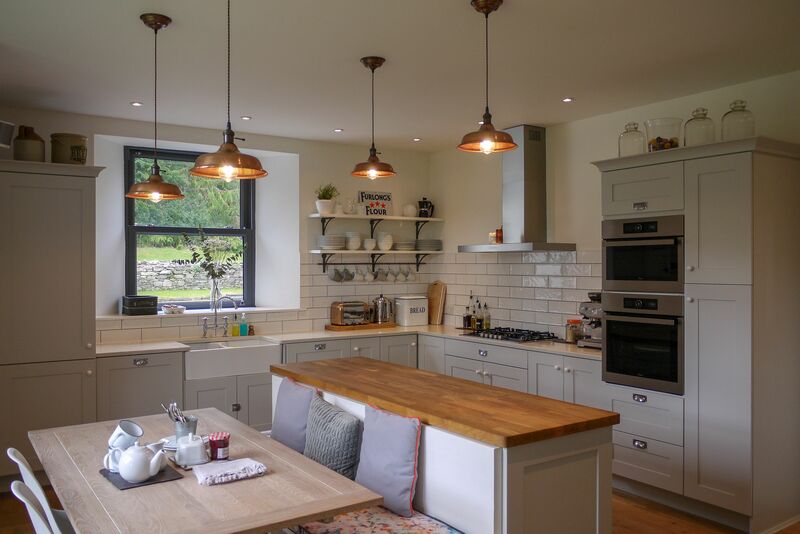 Lucy and Paul renovated from top to toe and it’s a now a holiday house to suit all – with or without the brood.They live here part of the year, so it feels like a much-loved family home. They’re widely travelled and dab hands at twigging what people love in a holiday pad. They pop over from Kenmare to let you in and leave you a hamper full of local produce: milk, bread, eggs, granola, cheeses, sausages, choc from over the road. Young ones are brilliantly thought of too: baskets of toys and games, art trolley, bunk beds – and their own sitting room, so you can have a quieter time in yours; both have TVs with Netflix. 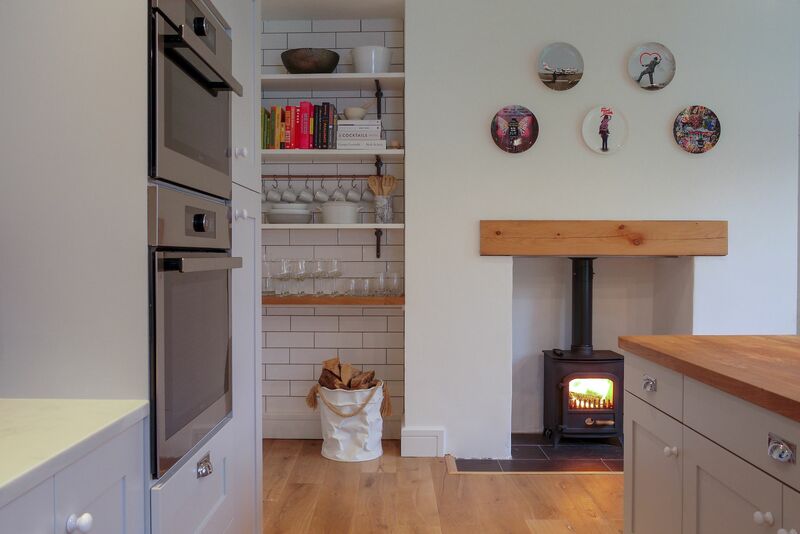 Two sets of stairs take you up to bedrooms front and back – plenty of comfort and three bathrooms.Cook in the sociable kitchen, snooze by wood-burners on chilly nights, grill local produce on the barbecue, sit out in the leafy garden. You can set off along the path into the woods and hills above to get your appetite up. If you want to eat out with the children, Mulchachys in Kenmare (10 minute-drive) is an easy-going place with good food; The Mews is more grown-up. Special offer: 5 nights for the price of 4. Arrive on Saturday, 22nd June & depart on Thursday, 27th June 2019 stay for 5 nights and only pay for 4! Minimum stay: 5 nights. 7 nights in high season. 3 November - 6 April. Have you visited Bonane House? Be the first to leave a review. You’re in the Sheen Valley at the foot of the Caha Mountains. There’s a small cluster of houses in the hamlet and Catholic church next door (one mass, on Sunday). Chocolatier across the road is a surprise – make sure you visit. Kenmare is a 10-minute drive. Lucy and Paul like to tailor your visit, so let them know beforehand, if you want: age of kids, what everyone wants to do. There are walks from the door, beaches, mountain hikes, wild swimming. Paddle boarding, kayaking, riding are all within half an hour. 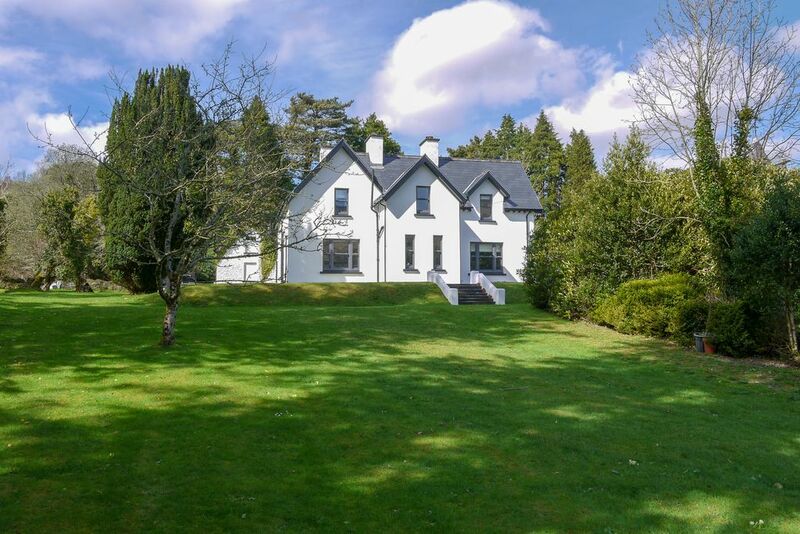 Derrynane House is a good day out: ancestral home of Daniel O'Connor. Photo opportunities are almost endless and at best where mountain meets the sea with no better place then the stunning scenery of the Ring of Beara. Drive the Healey Pass, rising 300m altitude for spectacular views, the scenery does the work for you! Lucy is a Londoner; Paul's family is from Kenmare. They’ve lived in London, spent a year in Spain, and then moved to Ireland in 2015; Paul works for a London recruitment/visual effects company. They both love the area.